The Open Water Season is about over. 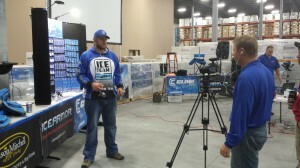 Yesterday was great I got to hang out with some of the biggest names in the business and talk Ice Fishing. This open water season is about over for me. I have a couple Muskie trips left and then I’ll be putting away the boat until March. 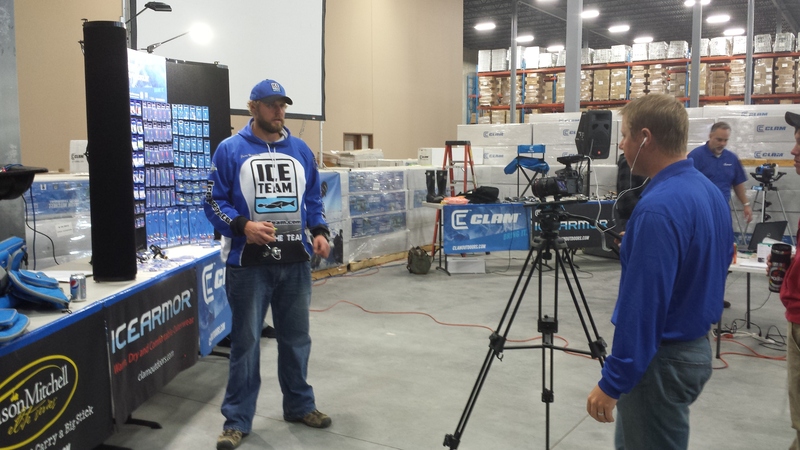 Pictured is Jeff (Jiggy) Anderson and on Left is Jason Hamilton talking about Big Walleyes Tactics! The Yellows have been biting very good and its going to make for a great ice season. We have lots of panfish spotted for this winter and I’m also excited to get back on Spirit and Catch those big slot Walleyes. We will also be doing some Pike fishing this winter along with some Perch on West O. This ICE season is going to be bigger than ever. I’ve been booking many trips already and some selected dates are already full. If you are thinking about booking a ice fishing trip you might want to give me a call sooner than later. I also want to thank everyone for there support over the 2013 Open Water season. I’m very grateful that I get to do what I love and that’s helping you guys catch more fish!! . SO THANK YOU!!! This entry was posted in Fishing Report on October 25, 2013 by Kevan Paul.